With its sunny beaches, bustling cities, rapid growth, and world-famous cuisine, Thailand is a popular destination for digital nomads from every corner of the United States. Some return to the US after a period of months or years, while others continue to reside and work in Thailand for the rest of their lives. Whether you remain in Thailand or return to the United States, you may be required to report your Thai income and assets to the US government by filing certain tax forms with the IRS. 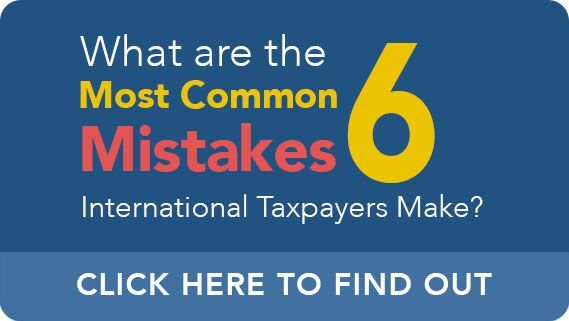 This is because US citizens, residents, and non-residents can be taxed on offshore income which meets certain IRS criteria. If you are a US expat or digital nomad who currently lives in Thailand, or if you recently returned to the United States after a long-term stay in Thailand, you should discuss your disclosure responsibilities with an experienced offshore accountant. CPA Ted Kleinman, founder of US Tax Help, has more than 30 years of experience assisting freelancers, small business owners, and expats in Thailand with IRS tax compliance. Whether you are a US citizen, resident, or nonresident, Ted Kleinman makes filing your taxes easier. To set up a free consultation, contact US Tax Help online today. In addition to an income tax return, you may also need to file an FBAR (FinCEN Form 114), Form 8938 (Statement of Specified Foreign Financial Assets), and other IRS forms and schedules. Several of these requirements are explained in greater detail below. Does Thailand Have a Tax Treaty with the US? The short answer to this question is yes. The United States and Thailand have been entered into a tax treaty effective since 1998, the full text of which can be read on the IRS website. In addition, Thailand also has double-taxation treaties (DTTs) with dozens of other nations. The acronym FBAR refers to the Report of Foreign Bank and Financial Accounts, or Foreign Bank Account Reporting. The FBAR is an electronic form, also known as FinCEN Form 114, which can only be filed online. You have a financial account in Thailand, such as a bank account (including checking and savings accounts) or certain securities accounts (including brokerage accounts). You are a US person, which means you are a either a US citizen or resident alien (such as a green card holder). Your financial account or accounts surpassed the IRS’ $10,000 reporting threshold on any date of the calendar year. To reiterate, the FBAR may only be filed electronically. Failing to file an FBAR may cause you to be audited, to be penalized by the IRS, or possibly even prosecuted by the federal government for tax crimes. The FBAR deadline is generally April 15, but may be extended to June 15 for taxpayers living in Thailand or other countries. FATCA refers to the Foreign Account Tax Compliance Act, a federal law which, similar to the FBAR requirement, mandates reporting of offshore accounts exceeding certain thresholds. To comply with FATCA, taxpayers in Thailand must file Form 8938 (Statement of Specified Foreign Financial Assets). The FATCA reporting thresholds, which vary based on filing status and other factors, are higher than the FBAR limit. These thresholds range anywhere from $50,000 to $600,000. Unlike the FBAR, which is only required of US residents and citizens, Form 8938 requirements apply to citizens, residents, and non-residents. Failure to file Form 8938 can trigger expensive fines and penalties, or even lead to criminal prosecution. For over 30 years, CPA Ted Kleinman has dedicated his career to providing citizens, residents, non-residents, and businesses with top quality tax guidance. Whether you have recently moved to Thailand, are planning to relocate in the near future, or have recently returned from Thailand to the United States, Ted Kleinman offers personalized, strategic, and dependable tax services for businesses and individuals. US Tax Help provides assistance with filing an FBAR, filing Form 8938, filing your tax return, and other accounting services for expats and digital nomads in Thailand. To set up a free tax consultation with an experienced CPA, contact US Tax Help online today.